The Dining Room at 28 Queen Street is located right in the heart of Edinburgh's new town within a beautifully restored Georgian building, also home of independent bottler The Scotch Malt Whisky Society. Elegant and modern, the restaurant is yet inserted within high ceiling rooms boasting magnificent original plasters and features. Head chef James Freeman's cooking is thought around the freshness and seasonality of ingredients. In this respect, all ingredients are sourced from local suppliers. His approach is more about trying to keep up with what is readily available in the nature, and local farms and fisheries are used as often as possible, when it's not actual week end fishing and foraging. 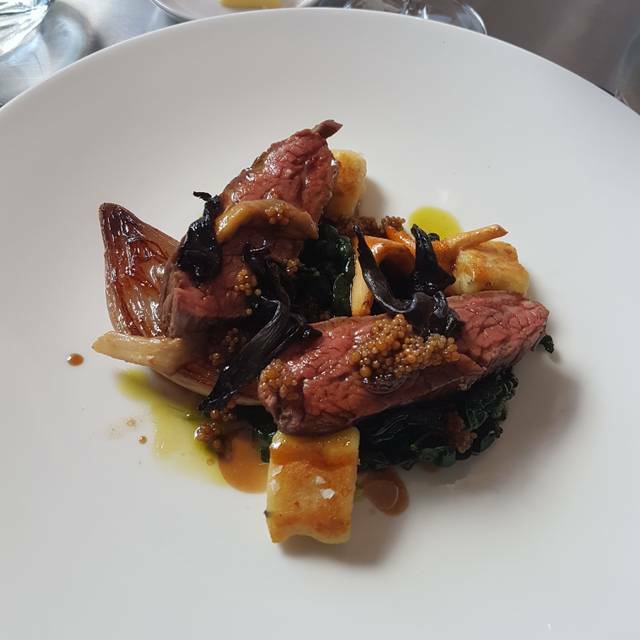 We offer diners the choice from our Menu du Jour, full A la Carte or our Taster Menu. The later is truly a sensational experience featuring a regularly changing five course menu including your choice of wines or whiskies, expertly paired for each dish by our sommelier. My husband and I had booked a table for 5.00 pm as we were going to the theatre and the restaurant was within walking distance. This was our first visit and we were very impressed with the decor in the dinning room and asked about the history behind the setting up of the restaurant. The Maitre D was very knowledgeable and passionate and took pride in explaining how the dishes were cooked etc and explained the history with regards to the beautiful picture hanging on the wall. Fantastic start to our evening. The food was amazing. This was a birthday lunch and it met all our expectations. The surroundings are grand without being stuffy. The staff were helpful - in particular the waitress who attended us, and professional and the food was exquisite. The birthday 'girl' was even presented with a special plate with Happy Birthday in chocolate on it - a very nice touch. Everything was amazing. The food, wine, location, staff attentiveness and presentation. A special lunch for a friend's birthday. A lovely meal, beautifully presented. The beef fell apart at a touch of the knife. Took the waiter's recommendation of the Mont Blanc dessert, absolutely delicious! Great value for very high standard meal. Service very good, not pushy at all. I would eat here again. Super food and in a beautiful Georgian dining room. Food quite inventive and with good local ingredients. Service a little haphazard. Some very experienced others new and didn't know the menu or wine list like they should. Wine list is short and expensive but well chosen. Great range of whisky of course! 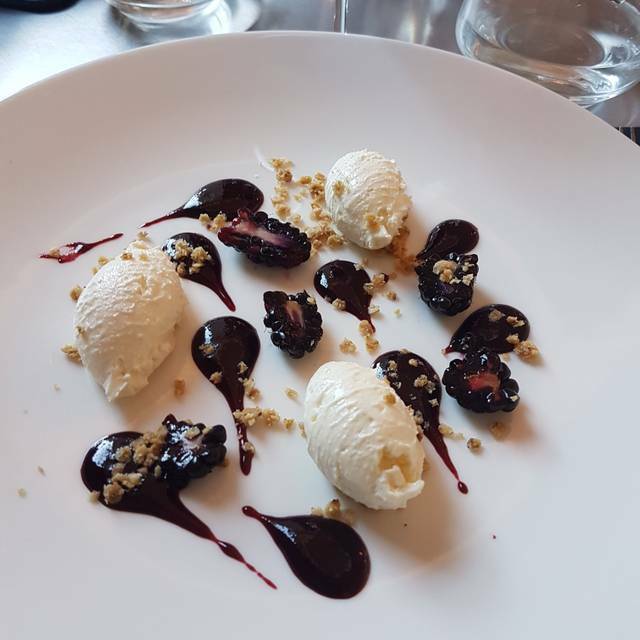 Food was excellent as ever, but service upstairs for pre-dinner drinks was very slow, and miscommunication between bar and restaurant led to a long delay after paying and before leaving while their misunderstanding over the bill was sorted out. My impression is that the new configuration does not always work very well. Another excellent meal at the Dining Room. The food appears deceptively simple but it is clear that a lot of care and attention has gone into it. My fig and hazelnut tarte was the star on this occasion. Tasty food; friendly and very well-informed staff. Recommended. Outstanding fine dining with excellent service. Plus much better value for the 5* food than other top restaurants in Edinburgh. Could fault nothing. Back again. As good as ever. Best lunch in Edinburgh. Was really fab! Loved the fact that the waiter was as knowledgable with wine as he was with whisky! This used to be a Michelin contender, but I'm beginning to lose hope. As a SMSW member, we try it every so often, but I doubt we'll do so for a long time now. Each time I give them another chance. On this occasion, the time between starters and mains was around 45 mins and it did not appear to be fresh, more like "one I made earlier". Strange that with only 2 tables occupied (changed days), both were served at exactly the same time, despite having arrived at least 30 mins apart. Could not bear to have a dessert. The dining room's lunch remains excellent value even now that 2 courses cost as much as 3. For even better value, leave room for desert! I must've walked past the Society dozens of time and never gone in, but on a whim I chose it for our anniversary dinner and it was magnificent. We had paired whiskies with each of our delicious courses and the whiskies were also excellent and complimented the food well. The finest food we have had in Edinburgh and nowhere near as pricey as an equivalent meal would be in London... highly recommended! We had wonderful fish -- scallop as starter, sea bass as main course. 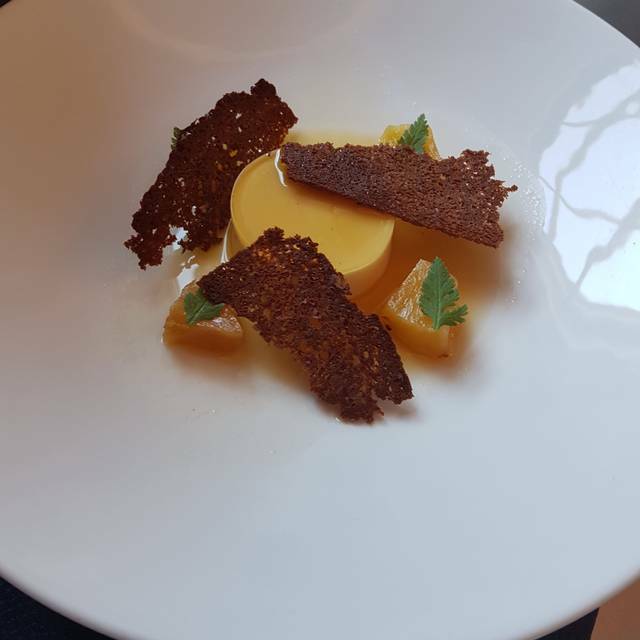 Little extras such as amuse-bouche and taster of whisky make the experience special and enhance the splendid value of the Society's three-course menu. Service is great and the room is delightful. The SMWS set-price lunch is just right: exquisitely prepared and presented, small portions of wonderfully fresh food -- in our case fish and seafood. Excellent value too. Service on this occasion a bit wobbly -- the waiter seemed to have a little difficulty with the Scottish accent (something of a rarity, no doubt, in Edinburgh restaurants). For the third time, this was just excellent. Went with friends for lunch and it was quiet, but the service was good and the food excellent. Can't recommend this place highly enough. The Dining Room is consistently good, and very good value for the quality. The flat that it belongs to the unique and wonderful SMWS is a great bonus. Nowhere else will you find whisky like this. Wonderful and varied tasting menu, well-chosen wines and whiskies to accompany, great service, and elegant surroundings. Excellent value for money too. Superb food, superb value and great ambience as always. On this occasion we were a party of four out for a friend's special birthday, and she loved her first visit to The Dining Room. We shall be returning soon. We were pleasantly surprised by this little gem of a place in the heart if Edinburgh. The chef has created a fantastic menu with a full vegetarian options. The dishes are absolutely delicious. Service was fantastic. My husband thoroughly enjoyed his whiskey flight. We made sure our concierge at Balmoral knows about our amazing experience to make recommendations to other guests. no atmosphere ,far too much noise from the kitchen,chef shouting"service"! throwing with cutlery which made a terrible noise.And what was more food was served cold. One attentive waitres and one who could not care less. We had the tasting menu. Perfectly sized portions, varied, and impeccably cooked. Very well matched wines and whiskies. Beautiful room and splendid service. We had a really good evening at the Whisky Society Dining room. We were well looked after, had a gorgeous whisky to taste with our amuse bouche and our three course dinner was a delight from beginning to end. The food was inventive without being fussy and was full of flavour. The portions were perfectly sized and the wine list gave us a good choice of wine to go with our food. Would definitely return for another special meal. Be warned that the Whisky flight is quite a challenge if you have an amuse bouche plus pudding and feel obliged to dispose of your wife's whisky also (she got a complimentary one with the amuse bouche). Lovely experience overall, but seating space at the bar is quite limited for pre or post meal drinks. The beautiful dining room at the SMWS does a fabulous three-course lunch. I started with the Hare, I like game and this had quite a liver like taste which I enjoyed the small Hare pie was fantastic. my husband had the scallops with cauliflower purée, which was cooked to perfection. We shared the ribeye which was stunning, full of flavour and tender. My husband had the Whisky flight with his meal, I have to say I wasn't a convert to having whisky with my food and had a lovely pinotage. The cheese board was very well chosen and really suited my palate, and the stollen with cherries was surprisingly good. The service was great and the whisky sommelier!! is that what they are called? was equally knowledgeable about wine. Really enjoyed our meal and while not cheap it was a fair price for the quality. The lack of Port was not made better by the over sweet sherry option. Hope its back in stock for our next visit. Being vegetarian I am use to being served whatever the kitchen has left or pasta, however this was excellent. Thoroughly enjoyed it. Very much enjoyed eating here. Food and ambience and service good. Would have liked to have known that the table was due back at a certain time as rushed off table at end. This is the second time we have been here, this time with son and daughter in law. All of us were so impressed once again. I don't know how they can do such an incredible meal at the price, it was a lunch special, but it was very impressive.. We are certainly massive converts to this place. A big well done to them! 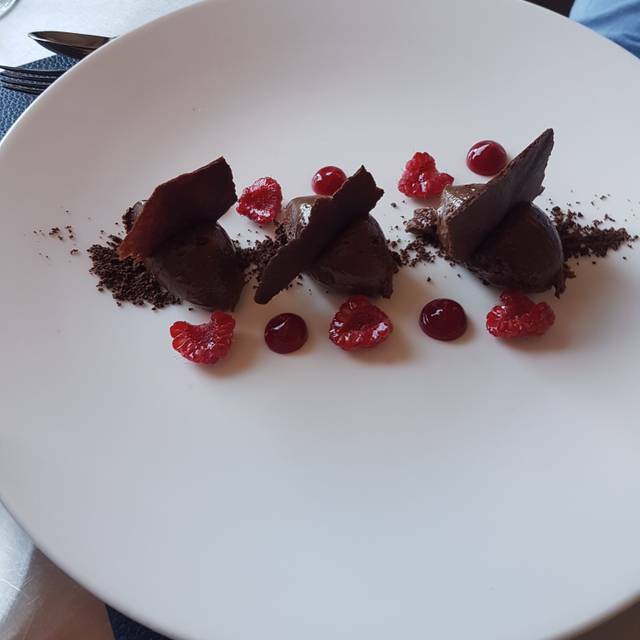 Of many fine and enjoyable meals on our trip to Scotland, including excellent experiences at wonderful places like Number One and Inverlochy Castle, this may have been the best. We thought it would be good, but did not expect this level of quality and sophistication in the food. Setting mixed old and new elements into a comfortable venue. Service was outstanding, and both our servers and the manager made sure we enjoyed our experience and paired the food and drink to perfection. My wife had both wine and whisky at different times, but I opted to pair whisky throughout the meal -- both combinations worked beautifully. I look forward to dining here again on our next visit to Edinburgh. Food was very good as always and staff were lovely. Made the mistake of having the "Whisky Flight" (Matched whisky package). That used to be good & good fun. This time it was noticeable that the whiskies "selected" came from the distilleries which are most represented on the shelves upstairs! (Including a grain whisky - surprisingly for a Malt Whisky Society - although they are far too common of the shelves too!). The change is perhaps less surprising since that seems to be the way the Society is going. The SMWS is the best place for lunch in Edinburgh. Elegant surroundings and beautifully prepared food.